The image above shows the Nokia 8 in a sweet tempered blue color which we saw on the Nokia 6. The design also looks symmetrical to the Nokia 5. The phone keeps the capacitive back and recent buttons while the fingerprint scanner sits between the two while also acting as the home button. Update: Evleaks has tweeted another image of the Nokia 8. This time painted in the silver color. Thanks to LoveNokia for bringing it to our notice! 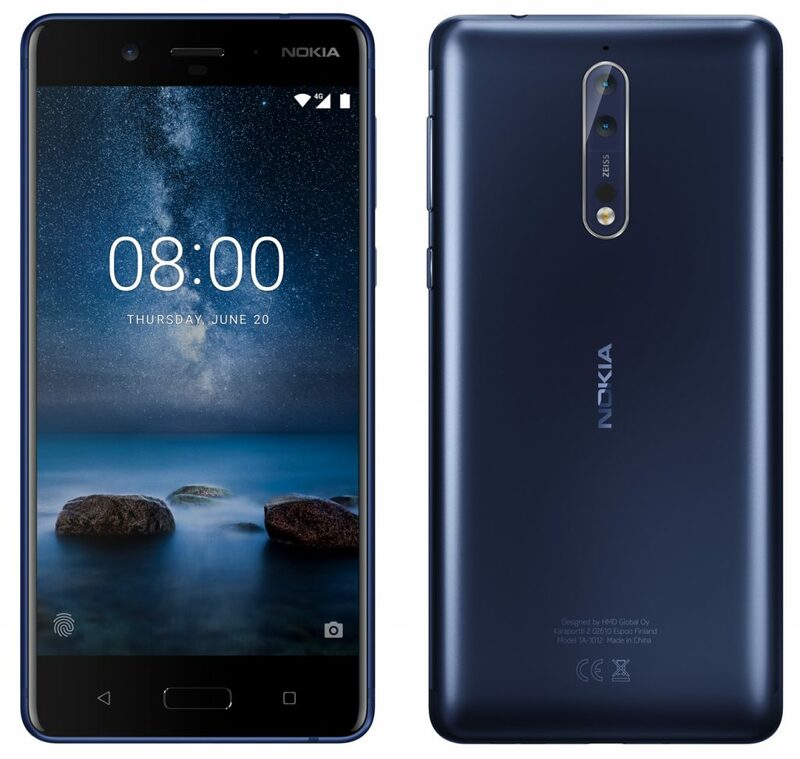 At times it so looks that the render creator picked up the Nokia 5 and slapped the dual camera setup on it and branded it as Nokia 8. They are so identical. The back features the most interesting aspect – the dual camera and the Zeiss branding. 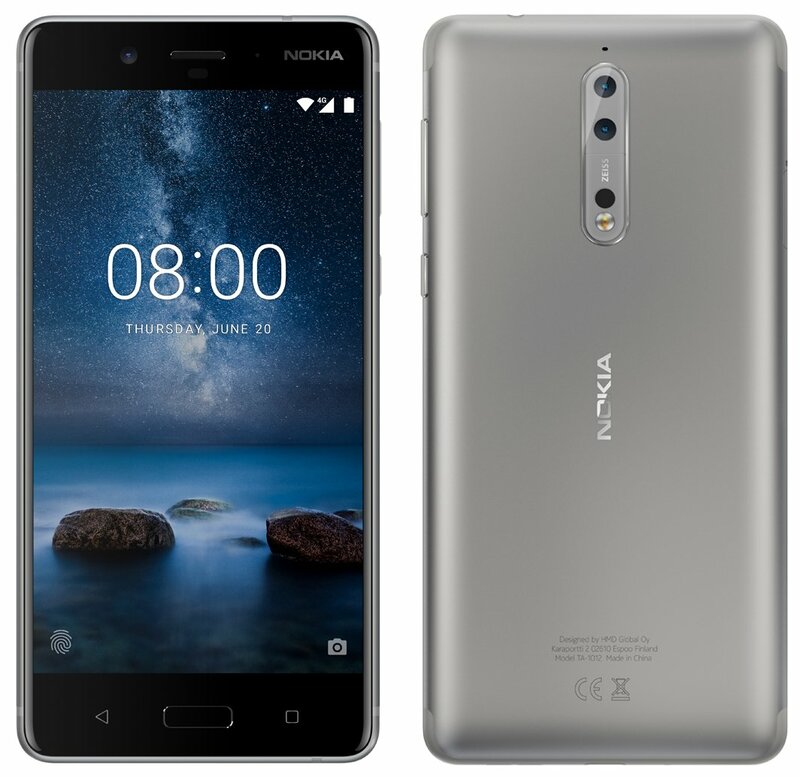 If Nokia does the software right, then this phone should be able to beat any other smartphone in its price bracket. That’s not me speaking, Nokia has historically made some of the best camera phones along with Zeiss. Other rumored specifications include – Snapdragon 835 processor, 5.3-inch display with qHD resolution, up to 6GB of RAM and 13MP dual camera setup. Pushed from June 20th to July 31st? The phone features the date on June 20. 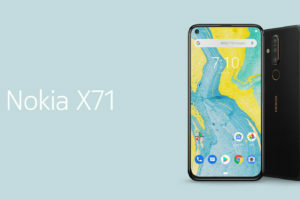 And if you’ve known Nokia, their press renders feature the actual launch date as the date and the model number as the time. So, the Nokia 8 was most likely supposed to be announced on June 20th. But was pushed forward due to certain reasons, one of which could be the production delays of the Nokia 3, 5 & 6. New rumors claim that the Nokia 8 will be announced on 31st of July. That’s only 13 more days to go. Looking at the number of leaks, the Nokia 8 launch should definitely be around. However, I am more concerned about the availability rather than the announcement. If there’s one wish I can make, I wish the Nokia 8 becomes available to buy starting from 1st of August, if 31st July is the launch date. So, finally, we have the first looks of the highly awaited Nokia flagship Android phone. How likely are you to purchase the Nokia 8 if it gets launched on the 31st of July? Which smartphone will you give up to switch to a Nokia flagship?